For the most part, I don’t talk about writing in global terms. It’s an individual process, and it’s not like I think I’m a master. I mean, sure, I’ve been writing professionally since 1986, so I’ve learned some things along the way. As time goes on, even I have to admit that I probably know something. Even so, I try to limit that to sharing my own experiences, things that have worked for me, rather than pretending to know what works for everyone. I’m more student than teacher. Nonetheless, one guideline of this blog since inception has been to be open about my work as a writer, no matter how squirmy that might make me feel. That’s why I don’t type status updates about my work on, say, Facebook, or begin party conversation by expounding upon my work routine. My brother, Al, sells insurance and I sure don’t want to read on Facebook about how he does it behind the scenes — just make sure I’m covered when we bend a fender, bro. However, I submit that a writer’s blog is different: You came here, I didn’t hound you down, so it’s your own damn fault if I sometimes prattle on about me, me, me. There’s an assumed interest that, again I contend, just isn’t there in most of social situations. Back to the topic at hand, research: It’s like that last line in the Jefferson Airplane song about Alice In Wonderland, “White Rabbit,” I agree with the dormouse: It’s vital to feed your head. Ideas don’t usually appear in a vacuum. My most enthusiastic writing is fueled by new knowledge, new information. My focus is largely on building character, revealing character through events. If I only write about what I know — a rant I’ll save for a later date — then all my characters will ultimately be limited by the contents of one (not necessarily fascinating) character, me. Fortunately, it’s never been easier to learn new things — and it’s also fun. 1) I’m writing something now and it struck me that a minor character might be really into tropical fish. He’s got a fish tank, reads books about fish, is just deeply into it. I have a personal connection to that, since when I was growing up my father had a fish tank and, for a while, my brother and I picked up the hobby (Billy even bred Siamese Fighting Fish — craziness, believe me!). But this was long ago. Let’s see . . . what else? 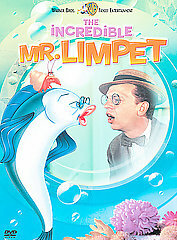 As a kid, I loved the movie, The Incredible Mr. Limpet with Don Knotts. More recently, I’ve renewed contact with an old college friend who is . . . really, really into tropical fish. So he got me thinking about it again. The reality is that I don’t know much about fish, but I want to create a character who does. So I’ll do research, see what comes up, try to write some scenes, go visit a fish store, and who knows. It might work for me, stimulate my imagination with facts and ideas, or not. 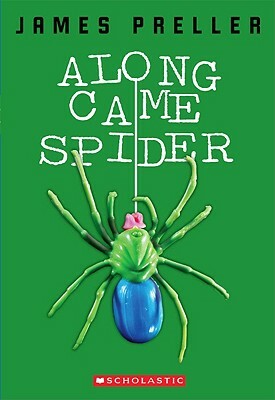 2) In Along Came Spider, I very much wanted to show that Trey, a positive, wonderful boy with autism, had his own unique talents and interests. For one, he loved animals and had a special affection for birds. He built his own bird houses and hung them in his back yard — and, in the book, one such house becomes a meaningful gift for the school librarian, Mrs. Lobel. However, I had a problem: I personally can’t build a piece of toast, much less a bird house. Time for some internet research to stimulate my brain with facts and ideas. They found green-haired Trey sprawled on his back patio. He was on his knees, hunched over scraps of wood and various tools — measuring tape, saw, hammer, drill, chisel, screwdrivers. Ava’s eyes widened as she took in the entire backyard, the stand of breathtaking oaks, maples, and pines, the field of wild grass beyond. She arched her back and gazed up at the great old trees. “This is really, really nice,” she murmured. “What are you building?” Ava asked. Spider grinned. He had heard Trey recite facts about birds and nest boxes many times. It was amazing and, at the same time, So Totally Out There. Trey could sit for hours in perfect silence, but when he got going on one of his favorite topics — like birds or rocks or ice cream — he would talk nonstop. And it didn’t matter if you paid attention or not. It was as if Trey had so many facts crammed into his head, he couldn’t keep them locked inside. Spider imagined a volcano spewing hot lava: Mount Trey. Trey nodded, sure she could help. He looked at Spider with a question in his eyes. “Sounds good to me,” Spider said. Ava nodded, listening as she made measurements on a length of pine board. Even though Spider had heard Trey say things like that many times before, this time the words struck him in a different way. We have to take care of them, don’t we? It was a simple thing to say. A clear, true thought. We have to take care of them, Spider repeated to himself. It’s so easy for us. The clouds parted and a warm yellow sun shone down. Ava, Trey, and Spider worked together for the next couple of hours, laughing and talking. Ava asked a lot of questions — she had a curious, interested sort of mind — and Trey had all the answers. He explained how the nest box roof needed at least three inches of overhang to protect the birds from hard rain. He showed Ava how to spread a coat of petroleum jelly along the inside of the roof to keep away wasps and bees. And with a chisel, Trey patiently grooved the interior walls of the house. 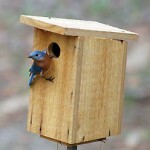 “It helps the baby birds climb to the opening,” he explained. “I give them away,” Trey answered. “Birds are territorial. They don’t like it if you put the boxes too close together. They don’t like crowds, and I totally agree with them,” he said. Trey finished screwing the last galvanized screw into the nest box. “There,” he said proudly, holding up the final creation. 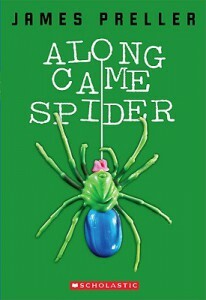 “He’s one of a kind,” Spider replied, grinning. The scene continues at a leisurely pace, the three kids hanging out together, building a friendship over hammers and wood. Nothing amazing ever happens in this book, frankly, a minor crisis or three, but my point in sharing this scene is to show how it grew organically out of my research for this character. He was interested in something I didn’t know anything about. As a writer, I felt in no way limited to write about only what I knew — what I knew was that I needed to feed my imagination with facts and ideas! I wanted to learn and grow as a person, as a writer. Once I got to a point where I knew something (new), I was able to write, k/newly inspired. That scene, and some core metaphors for the book, grew out of that research.